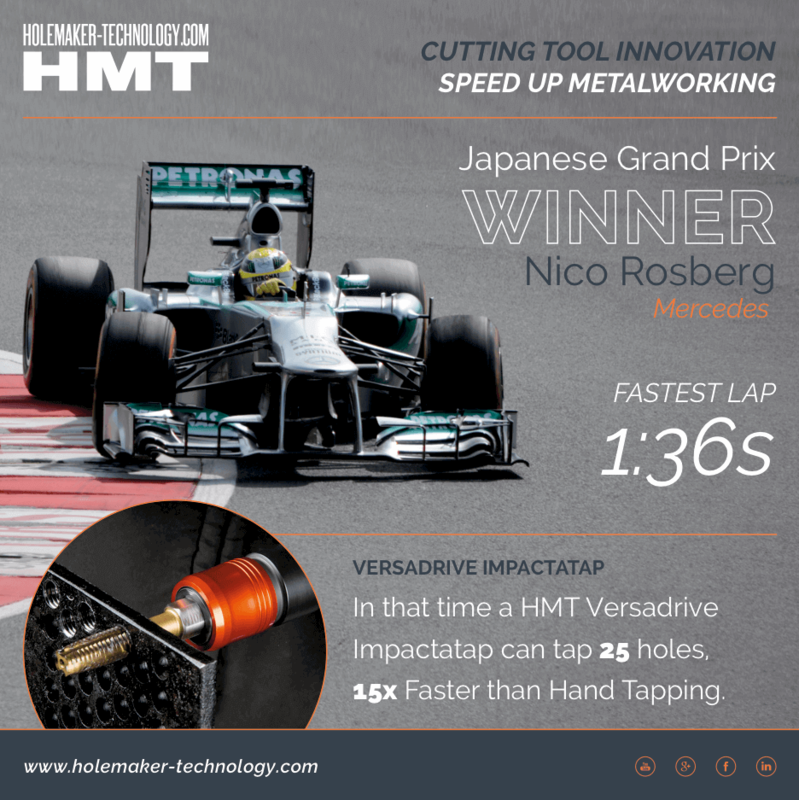 HoleMaker Technology (HMT) manufacture and distribute cutting tools for improved metal working and fabrication. 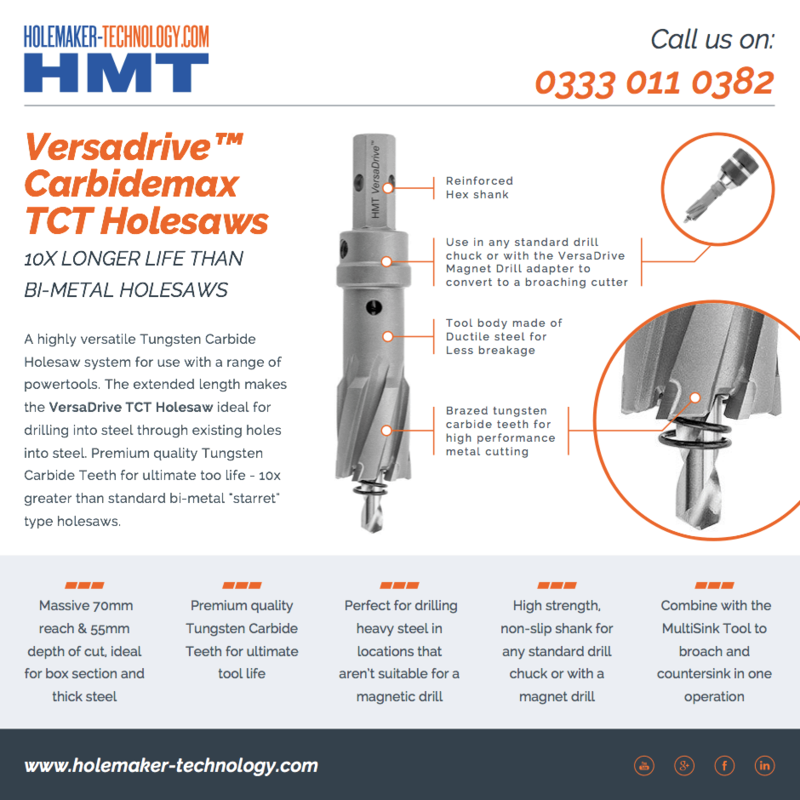 HMT revolutionary range is creating a buzz in the market with their innovate design plus endurance and speed advantages over traditional methods. They wanted a Shopify website redesign to reflect their position in the market and the innovate design of their products. The new design would also be vital in both promoting and sell their products to consumers and industry dealers. 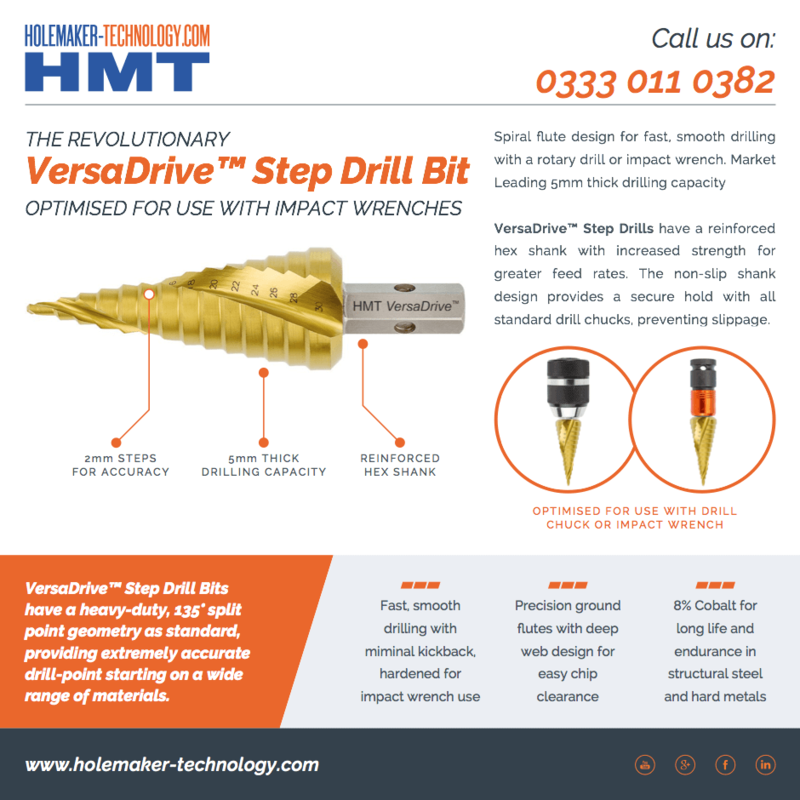 ExtraDigital produced a Shopify web design with a strong focus on innovation and cutting edge design that showcased the products and allowed room for expansion to include new products and ranges as they came onboard. 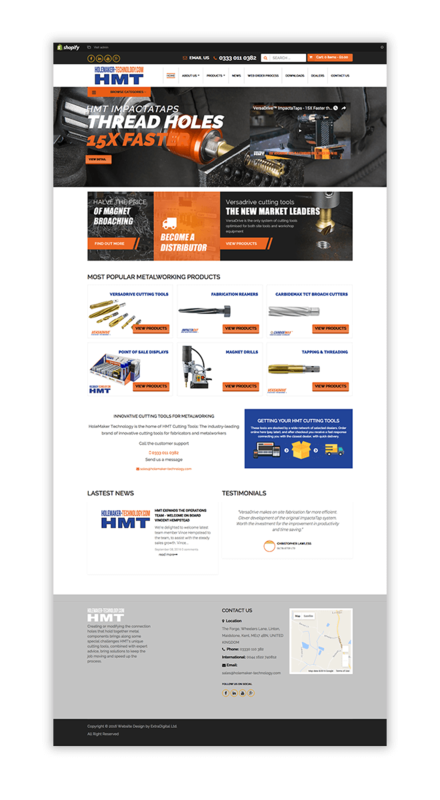 After the site was launch HMT commission ExtraDigital to provide consultancy marketing support, plus ongoing work including SEO, PPC, Email and Social Media. Over the past 6 months, the site has seen a large improvement compared to the previous year. "The Marketing & SEO work undertaken by ExtraDigital has been of superb quality. We have conclusive results that show how the work has improved our revenue and furthered our brand. The content they have been producing is of a great standard, it's engaging the right kind of audience for our business"